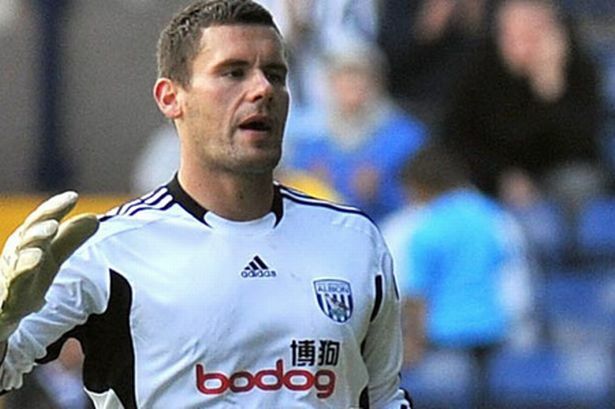 West Bromwich Albion head coach Steve Clarke has said the deal to sign Ben Foster is a "great signing" after the former Blues keeper became the first addition in his tenure. The 29-year-old goalkeeper rejoins the club for an undisclosed fee after starring for the Baggies on loan from Blues last season. He has penned a three-year contract, plus a further two-year option in the club&apos;s favour, committing his future to the club until June 2017. Clarke is delighted to have made the 6ft4in custodian the first capture of his Hawthorns reign. "Ben&apos;s been a priority signing all summer," said Clarke. "His performances last season were exceptional and it was important for the club to strike a permanent deal for him. "It&apos;s a great signing for me and an even better one for the club. "I think the supporters will be delighted we&apos;ve been able to keep him on board - and make him our player. "In any league in the world you want a goalkeeper that is going to make match-winning saves, turn draws into wins and defeats into draws. "A quality goalkeeper is worth ten or 12 points a season to you - and that&apos;s certainly what we think we&apos;ve got in Ben Foster." Foster&apos;s outstanding form last term made him a firm fans&apos; favourite, with a series of superb individual performances helping Albion secure a best-ever tenth-placed Barclays Premier League finish. He dominated the voting as he was named Albion&apos;s Supporters&apos; Player of the Year and Players&apos; Player of the Year. He kept ten clean sheets, equalling the club record for the most shut-outs in a Barclays Premier League campaign. And only a groin injury ahead of the final game of the season against Arsenal prevented him from playing all 38 top-flight league games for the second successive year. Sporting and technical director Dan Ashworth added: "The players, the staff and supporters will be delighted Ben has agreed to join us permanently. "Ben showed to everyone last season how important he is to us, making vital saves at key moments in games. "He was happy here, enjoyed the goalkeeper coaching under Dean Kiely, the facilities, the supporters, and everything about the club. "And the fact Ben was with us on loan put us in a prime position to sign him."